​Giving You A Confident Child! Watch How Martial ﻿﻿Arts ﻿﻿Helped Me Succeed In Life And How We Now Help Others Become Champions In Life Too! Free Week Unlimited Training, Book Below Now! Do You Want Your Child To Be A Confident And Successful Adult? Worried About Your Child Getting Bullied And Want To Do Something About It? Worried About Their Health And Need Something For Them To Do? You may be searching for Martial Arts Leicester, but we provide so much more! Giving transformational life change as a result of increased confidence and character development. Martial Arts steered my life to a more successful path rather than where I was heading. Therefore I wanted to develop a system to help others use martial arts to get life changing results like mine. So I created the DMAF system and opened up Deacons Martial Arts Leicester. Designed to use Martial Arts to develop people into the best version of themselves. We do this through structured sessions, working through barriers and gaining achievements. Furthermore we get to know each student well and develop there individual strengths. We also work on their weaknesses - not only the physical, but mentally. As a result, their confidence skyrockets! 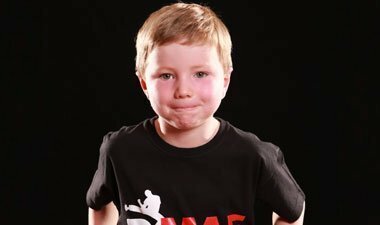 Deacons Martial Arts Leicester have age specific classes and teaching methods. This ensures all students learn the most possible in their time with us. Therefore, helping them to develop faster.We have a full time, state of the art facility, as a result you have the best time in class. Providing a top class environment is important to us. Proud to provide all the equipment and support you will need to succeed. Fast paced, fun, and competitive, with quality martial arts in Leicester. 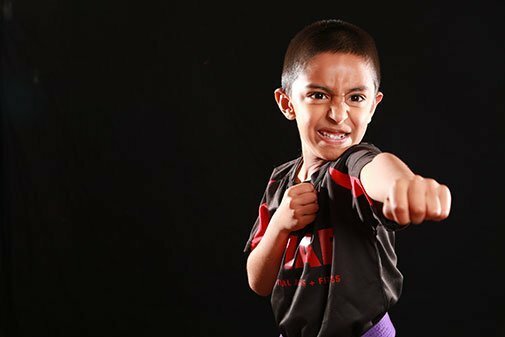 Our classes give your child a fun workout. This enables them to become fit, strong and healthy. While developing them into champions in life. We are proud of what we do here. 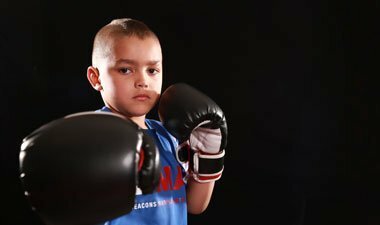 The biggest part of what we do is help to create strong, confident and resilient children. Thus setting them up with the best possible chance of success in life. How many board members or business owners have you met who aren't confident and resilient? Therefore Deacons Martial Arts Leicester is uniquely suited. As we have this in mind with all our planning. Also we're not here to just teach you moves, but to also change your lives for the better. Furthermore, we have professionally shot instructional videos. These are all on our dedicated online training system. Which help to supplement your classes, thus making it even easier to succeed! These are an amazing help for supplementing training. Each move and combination is thoroughly broken down and explained. Along with explanations of how to fix common mistakes. You can go through it in your own time and really develop at your own pace. So Finally, when your thinking of Martial Arts Leicester, think DMAF Leicester. 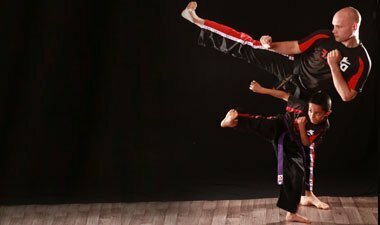 What Sets Us Out From Other Martial Arts Clubs In Leicester? Why Us? Whats Unique About Us? For me we are different not because we have our own full time facility. Also not the 30 plus classes a week. Or our age specific and ability specific classes. Rather its our approach to teaching. What makes us a great Club and most of all unique, is our Standards! Standard of Students, Standard of Facility, Standard of Teaching, Standard Of Care and Level of Support. You're not just a number here! Because we care for all our students. Not only this but furthermore we continually try to improve every one of these aspects. We do this because we not only want to be the best we can be but want our students to be the best too. Therefore our students can be proud of where they come from. With this at our forefront, most of our new students come through referral. Showing we're doing a great job, and we plan to continue this way for a long time to come... So jump on board or fall further behind! Are You A Mum Wanting To Transform You Body, Nutrition and Health? We’re so confident you will love our Martial Arts Leicester program, that if after 30 days you don’t think its for you, we will refund you every penny you’ve spent with us! Disclaimer - Deacons Martial Arts and Fitness accepts no responisbility for any possible adverse effects. We cannot accept responsibility for any injury due to training in Martial Arts. Deacons Martial Arts and Fitness cannot guarantee results or any claims made on our site, for example: We know that often confidence will increase but cannot guarantee this for every participant. Double You Childs Confidence In Weeks At Home! With These 9 Free Easy To Implement Practices That You Can Apply With Ease At Home!